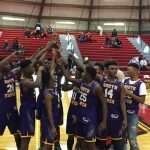 The South Haven Boys Basketball Team defeated Holland High School Thursday night 79-59 to win the Holland Holiday Tournament Championship. 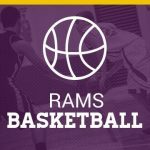 The Rams were led by DaShaan Palmer with 22 points, Joe Wilkins with 15 and Caleb Ford with 14 points. The boys had beaten Tri-Unity Christian in overtime the previous night to reach Thursday’s finals. 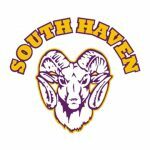 The South Haven Rams hosted their annual wrestling invitational on Saturday, December 17. Eight teams participated in the event, with Coloma winning the trophy over Niles in the final round. The Rams were led by South Haven freshman Jackson Beck-Calvert, who finished 3-1 on the day.